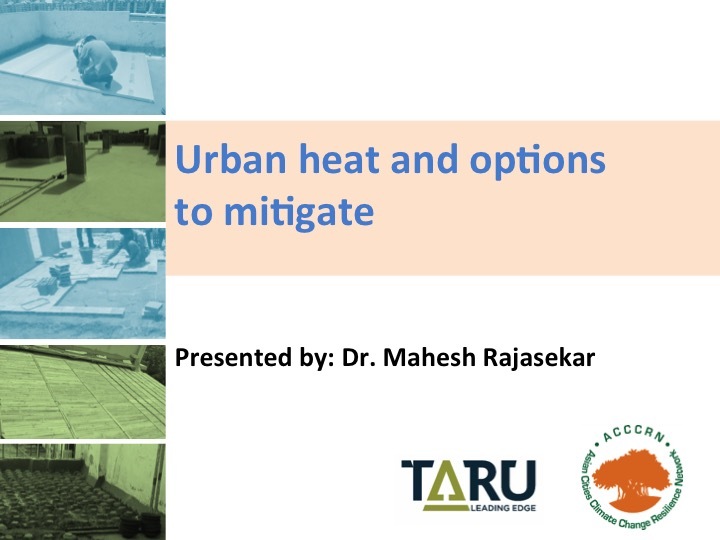 This presentation was delivered by Dr. Umamaheshwaran Rajsekar at the webinar entitled “City under Rising Temperature” on 8 September 2017. He explores technology options to improve thermal comfort options for low rise high density urban development. Implementation of the projects focused within urban areas, which are exposed to diverse range of heat.